Earlier today, we got a phone call that came from a "Restricted" number. When we picked it up, a robotic sounding voice said "This is Verizon Wireless calling. Your account has been suspended." The rest of the call explained how we could have the suspension lifted if we pressed "1" and gave some of our personal information to the rep on the phone. Immediately, we knew we were getting a "voice phishing" call, so we hung up. But what if you were unfamiliar with the concept of phishing? First, some information. Phishing is when you receive an email that looks to be from a company that you really do business with, like your bank. There is usually a request for personal information like your bank account number and password, or social security number because of some made up reason. For example, the email might tell you that a power failure caused the bank's servers to lose its memory. Whatever reason they can come up with to scare you into revealing your personal information will be used. Once the bad guys get their hands on this info, they immediately call the bank and change important security information that will lock you out of your account and let them in to steal your money. And sometimes, these people just want to steal your reputation. For example, we know an eBay seller who had a 100% feedback rating. He received a phished email, revealed important personal information, and within 30 minutes his sterling eBay reputation was being used to sell expensive items that the phisher had no intention of delivering. So let's return to today's voice phishing call. If you didn't know any better, you might have given the "Verizon rep" your account password, social security number and other confidential information. 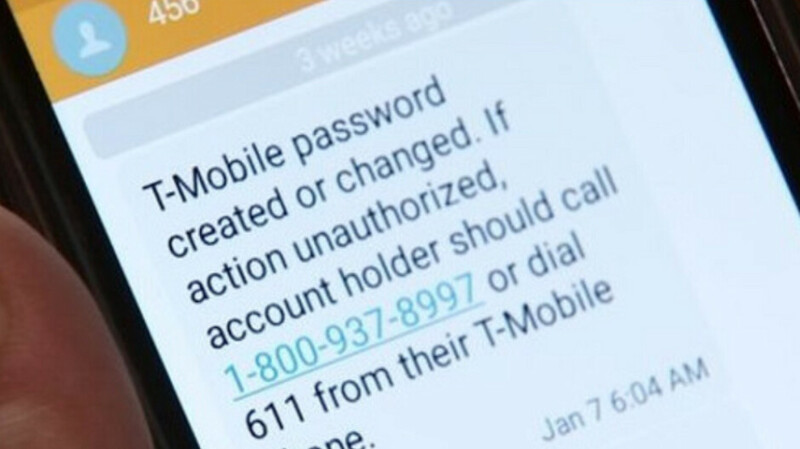 Armed with this information, the crooks could take over your Verizon account, change the phone number and address associated with it, and place orders for high-end phones with overnight delivery. Meanwhile, it could take some time before the real account owner realizes that he's being ripped off. When we spoke with a Verizon rep following the receipt of the bogus call, we were told that since the call came in as "Restricted," there wasn't anything they could do in terms of trying to trace or report it. The FCC says that 50% of the calls you will receive on your smartphone this year will be spam and scam calls. If you receive a call purporting to be from a company that you actually do business with asking for any type of personal information, hang up! And if you're not certain if the call is legit, call back the company and double check the request. Taking the time to do this one thing just might save you hundreds, if not thousands of dollars. Phishing is still a thing?? Only for stupid people that deserve the end result. Not really non technical or older people might fall for it. Seniors who aren't familiar with technology deserve it? That is the stupid comment of the day. No one deserves to lose there money to these idiots just because the companies don't explain to them when they buy a phone that they will never call or text for personal information. If the caller ID says "Restricted" or "Blocked", I don't answer. If the number is the same area code and exchange as my number, I don't answer. I do like getting calls on my Pixel though. I just press "Screen Call" and I can even have myself added to do not call lists (doubt that does anything though). 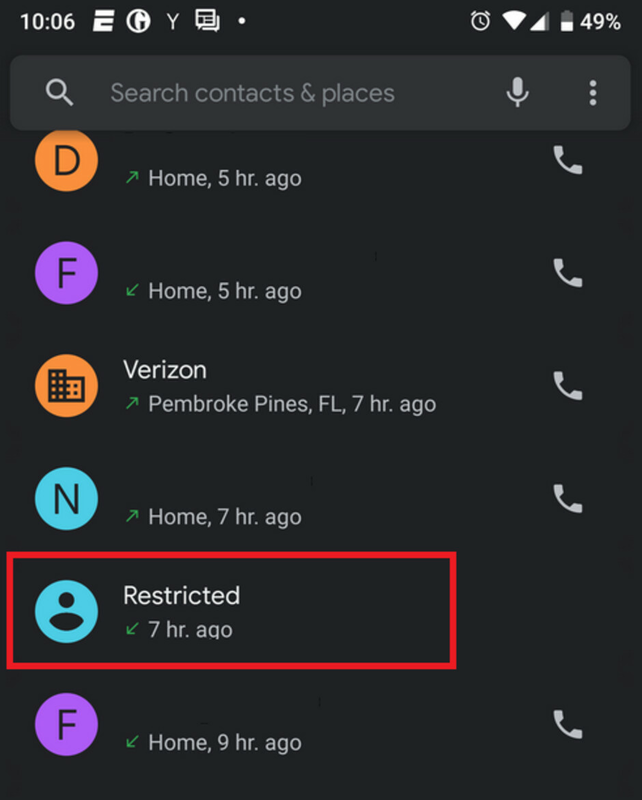 I hope Samsung and other OEMs add the call screening functionality.